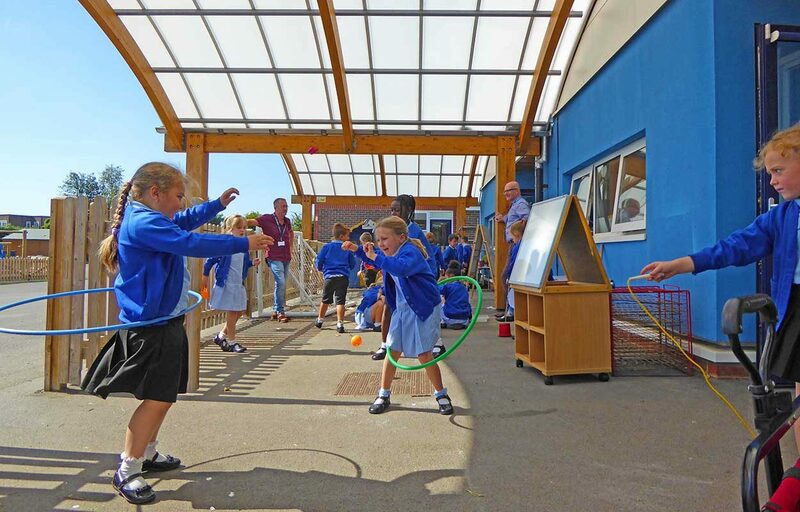 Riverbeach Primary School invest in generous outdoor teaching space. 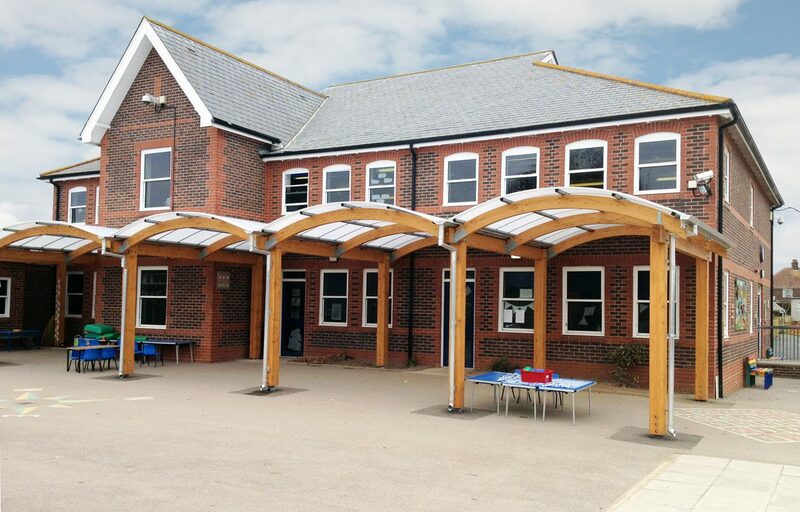 Due to the school’s satisfaction with an initial canopy from Fordingbridge (the first three images), Riverbeach invited us back to install a second structure two years later. 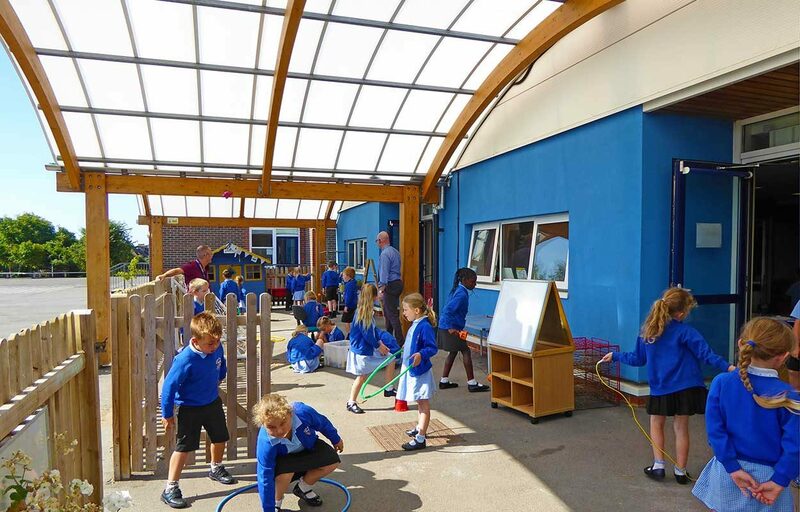 Working with the same materials and design principles as their first instalment, the school chose a multi-span glulaminated timber canopy to create valuable play and learning space at the front of a new building. 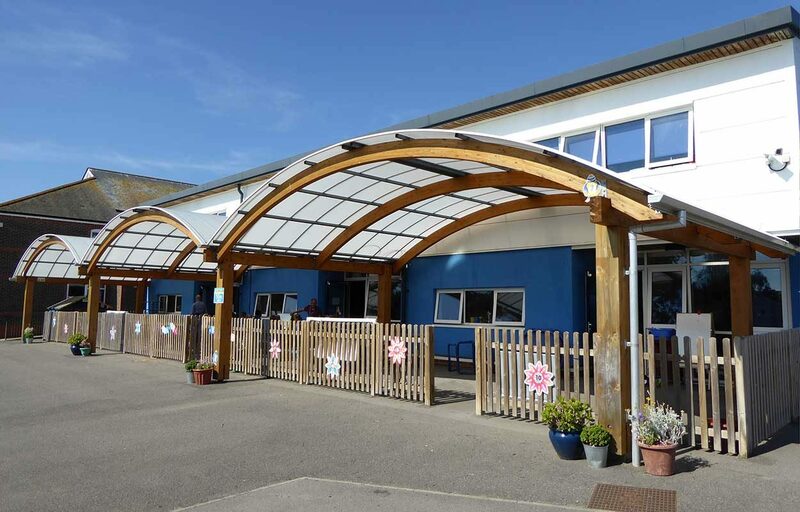 With three 8m wide spans of 5.6m deep, the total floor area of each classroom is more than doubled by the addition of our canopy. Shade is also provided to the glazed areas of the building, moderating heat gain from the sun at the height of summer. 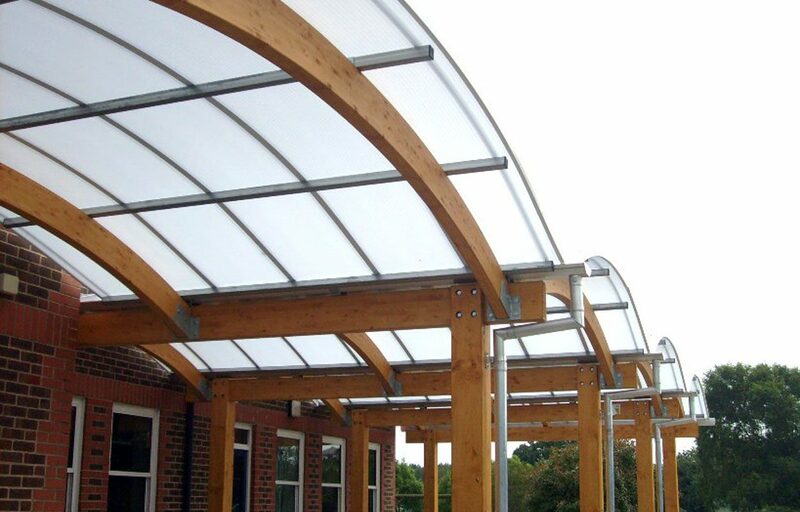 Additionally, all rainwater is captured and channelled off the canopy in custom made aluminium guttering and rainwater down pipes which work in unison with the existing drainage. With over 50 years’ experience across the UK, our team offer a complete design and build service making your project stress-free from initial conversation through to handover on site. Colour: Stained light oak. 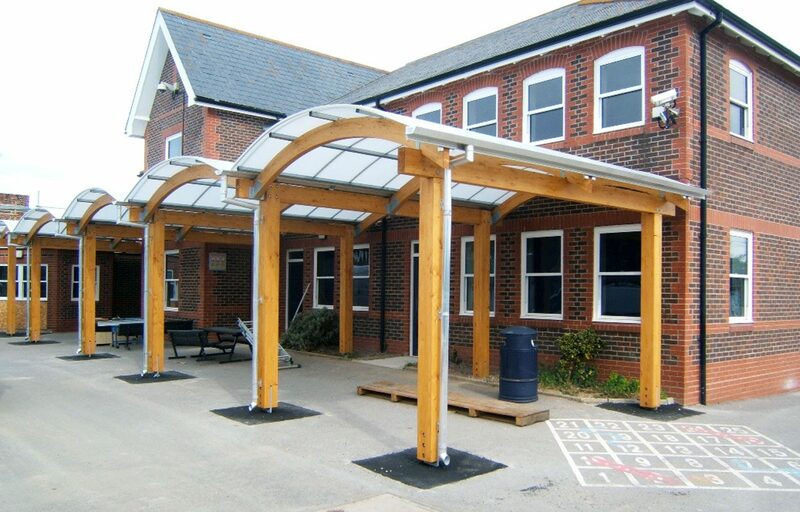 Our timber structures are available in a variety of colours.